I don’t know about you, but I love mornings. I didn’t always. But then I discovered coffee. I wake up to a baby crying. I don’t even get time to brush my teeth before I’m making a bottle. and I would survive… as long as I’ve had my coffee. the chemicals roaming around my innards. So I made one at home. Then I made one again at lunch. but I will definitely make another one in the morning! You have to try this! It took me less than 5 minutes…. Make a shot of espresso. If you don’t have a machine you could also use really strong coffee. taste or a sweeter taste. Surprisingly enough, you don’t really taste the maple syrup. Make about a cup of hot foamy milk. I use Organic Whole Milk. (I know it’s not the healthiest milk. attached to the side but I never use it. It makes a horrible noise and I tend to burn the milk. (I really hope I’m not the only one to do that.) I use a much faster and simpler method. I put about a cup of milk into a container that has a lid. I warm it up in the microwave, cover off. Once hot, I put the cover on and shake it as hard as I can for about 30 seconds. It should foam up nicely. of the foam stays in the container. Then spoon the foam onto the top. I almost can’t wait to wake up tomorrow. Make a shot of espresso. 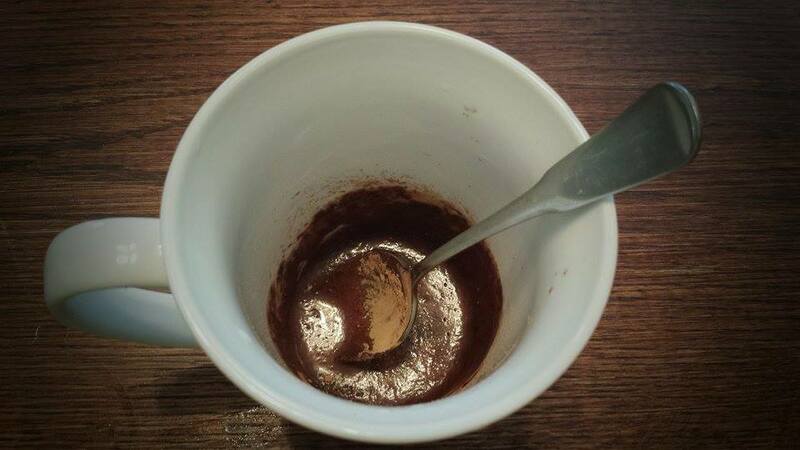 Combine maple syrup and cocoa powder in your mug. Foam milk using a steamer. If you don’t have a steamer, heat milk in microwave. Put in container with a tight lid. Shake for about 30 seconds. Mix the espresso with the syrup mixture. Slowly add the milk, leaving most of the foam in the container. Add the foam to the top.